Gianfranco Zola admits he is unsure whether Callum Hudson-Odoi will play for Chelsea again. The teenager scored the Blues’ second goal as they beat Sheffield Wednesday 3-0 at Stamford Bridge to book a place in the FA Cup fifth round. Willian netted twice and Gonzalo Higuain made his debut as the holders comfortably went through. 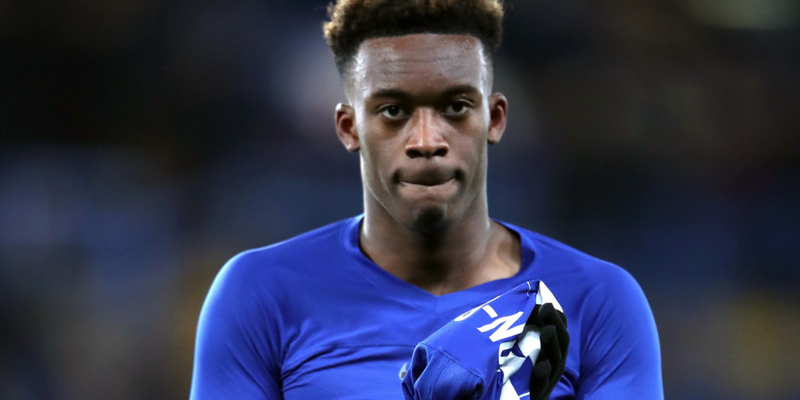 Hudson-Odoi played after handing in a transfer request on the eve of the match amid interest from Bayern Munich. He is determined to move to Germany – and threw his shirt into the crowd after the game in what could be seen as a sign he was saying farewell. The home fans made their feelings clear by chanting “We want you to stay”, but Hudson-Odoi might well have played his final match for the club. “We want him to stay as well – we were singing it as well,” Zola joked. The assistant boss added: “He has a contract and we believe in what he can do for this team. “I don’t think there are many 18-year-old players around Europe that are playing as much in such a big team. “That shows we believe in him and that we think he can be an important player for us, so we’ll see what happens. “We can do as much as we can do. From our point of view he has a lot of strong players next to him but we still find space for him. That shows we trust him. Striker Higuain, who recently arrived on loan from Juventus, was restricted to a couple of half-chances before being substituted with 10 minutes remaining. “We will see more from him. I am personally satisfied with him, but he’s going to get better,” Zola said.